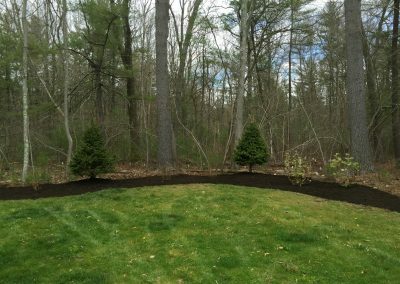 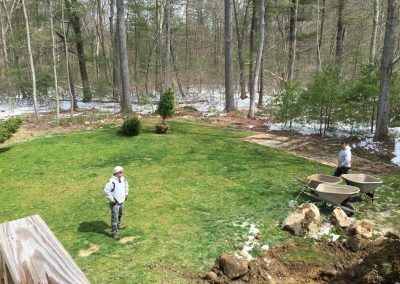 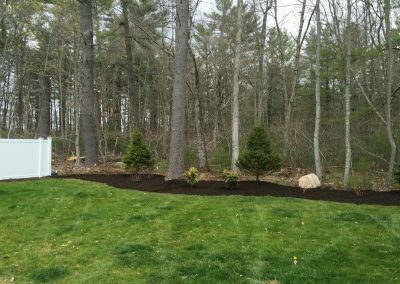 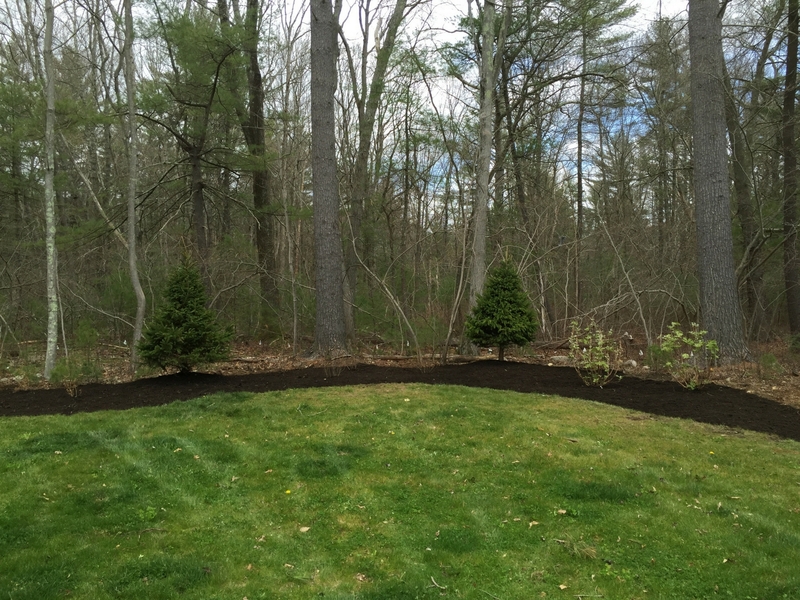 Set against the woods, this client sought to transition the space between lawn and wilderness with the addition of maintained shrubs and trees. 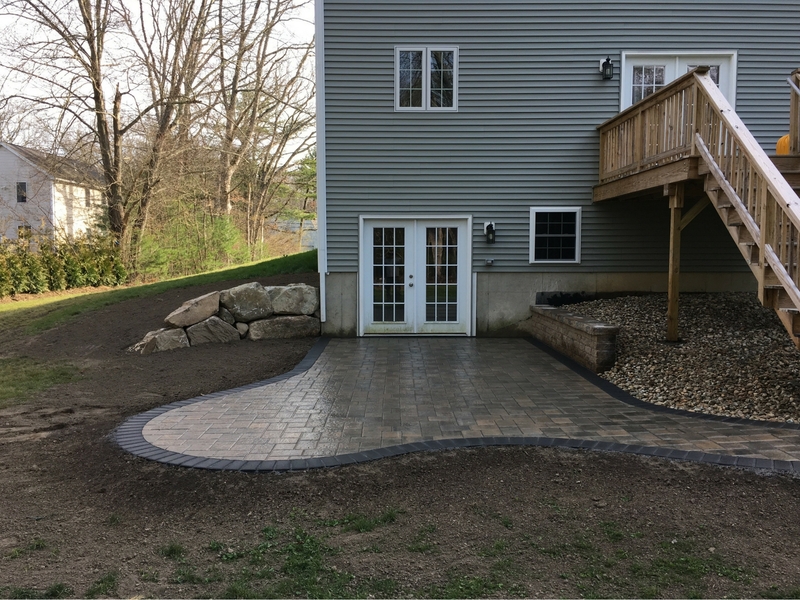 The patio extends the living space between home, lawn, and gardens. 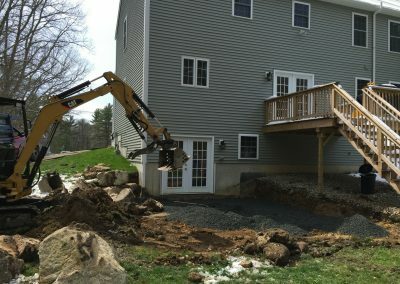 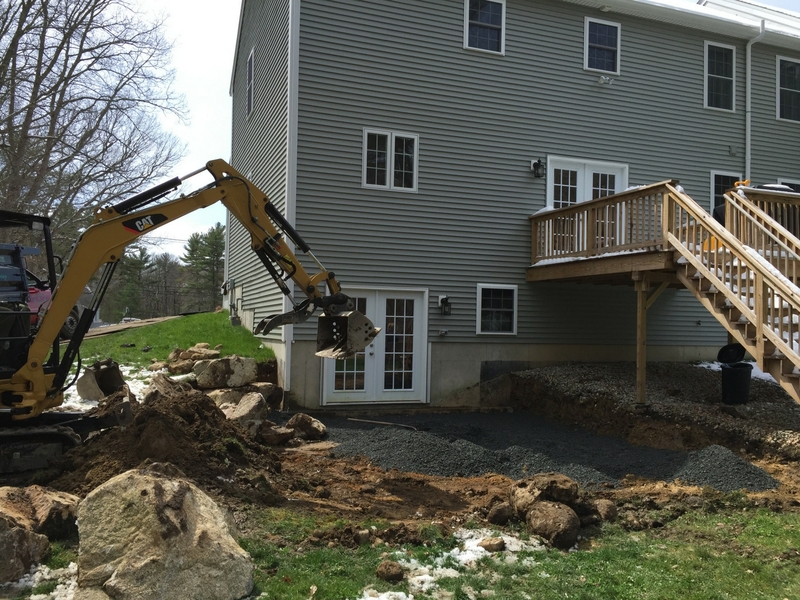 As with many new builds, the landscape needed to be started with excavation. 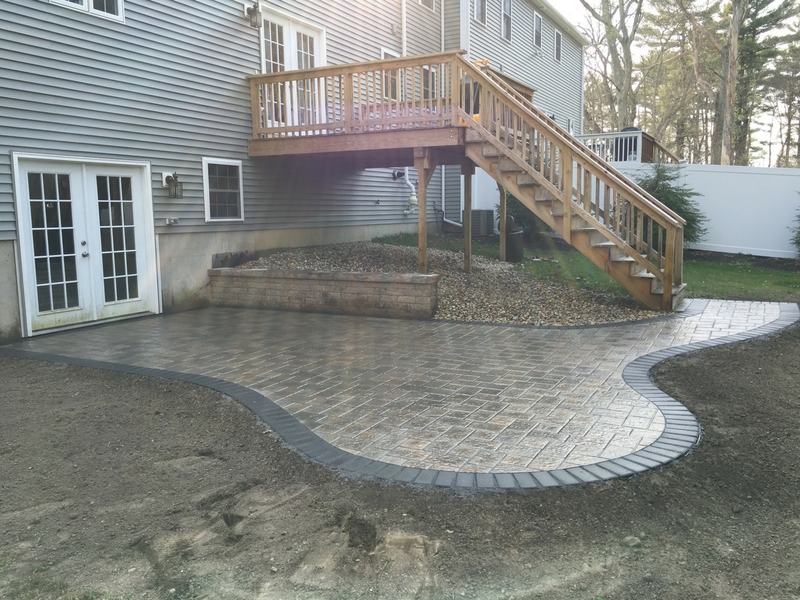 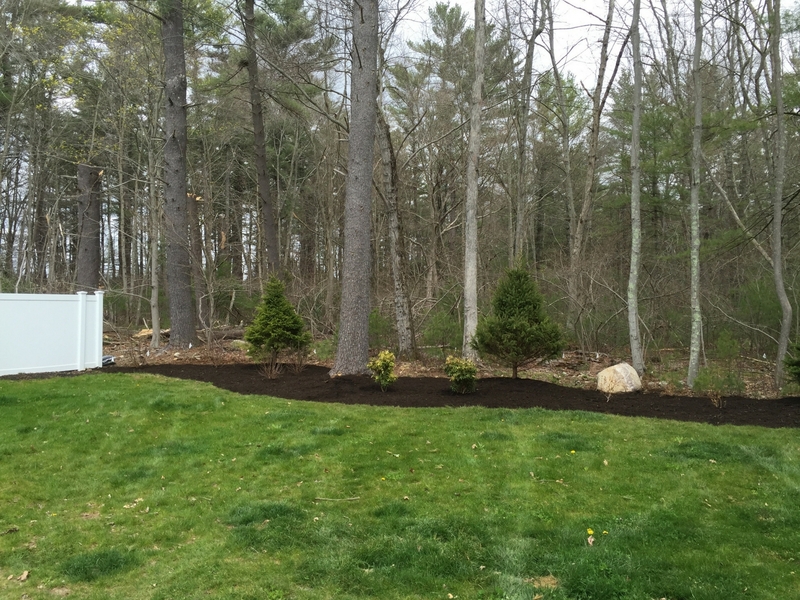 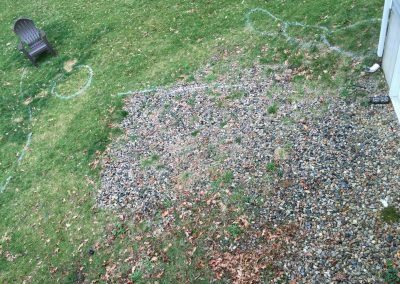 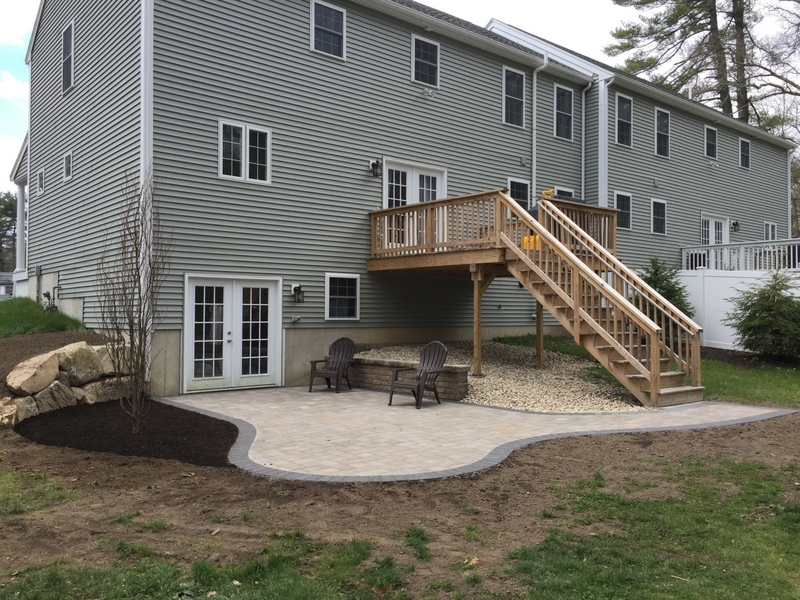 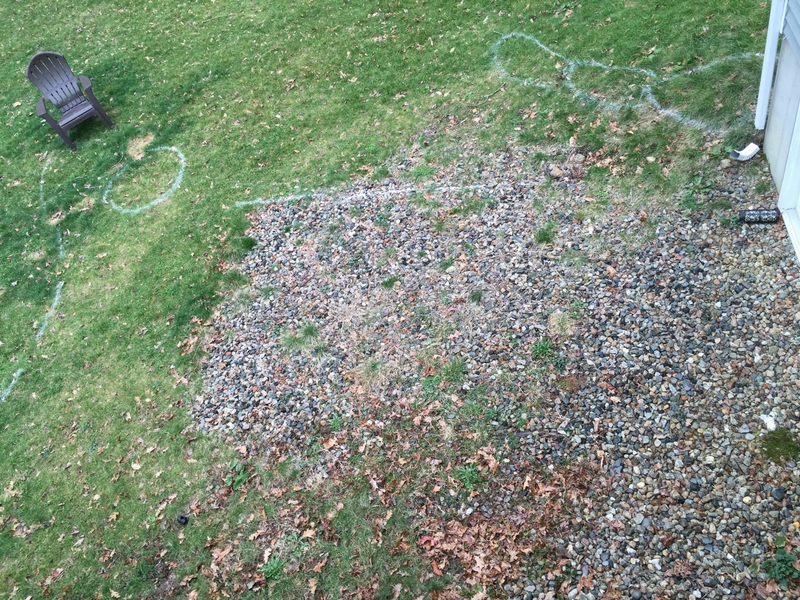 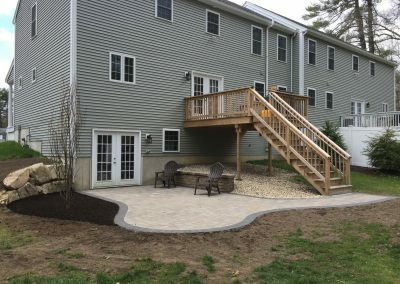 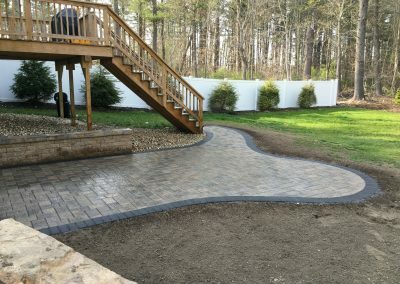 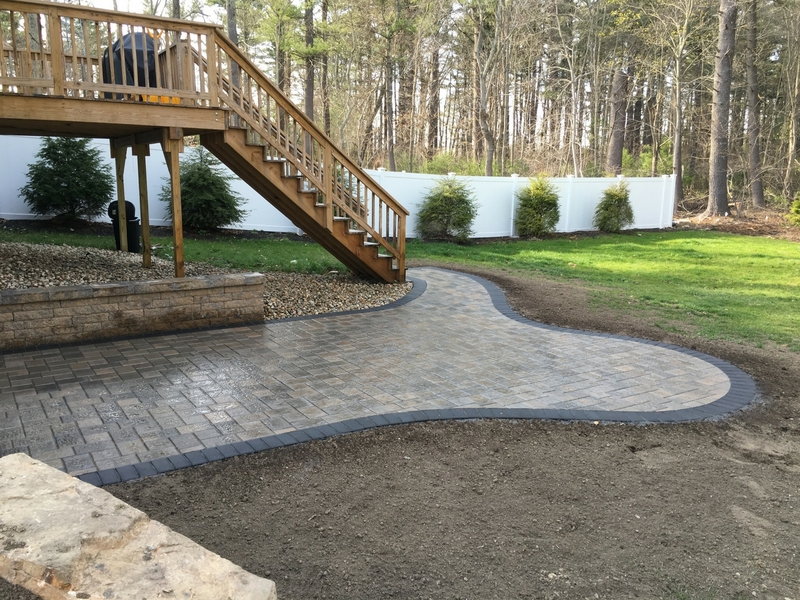 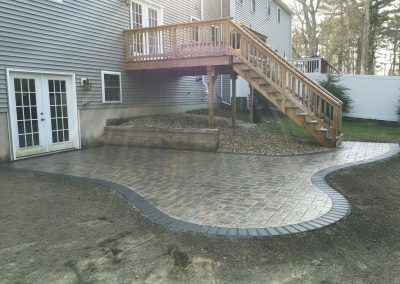 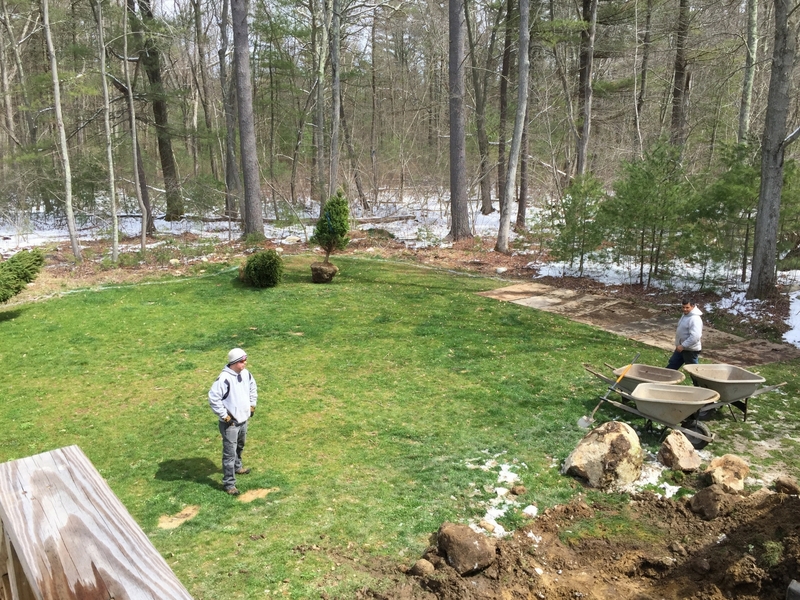 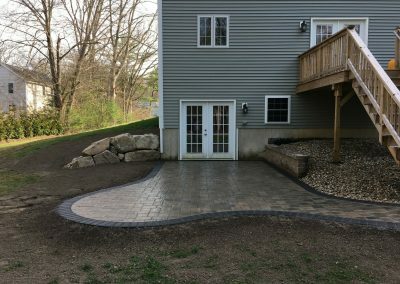 This project called for every step in the landscape installation process.